Will’s experience as a Marine Corps officer, Financial Advisor, Professional Athlete, Coach and Guide make him a unique leader. In 1988, he graduated with honors from the U.S. Naval Academy. As the top international relations major and recipient of the American Legion Award, he studied at the Beijing Language Institute after graduation. His 5 years of service as a Marine Corps Intelligence officer were punctuated with deployments to Operations Desert Shield and Desert Storm in the Middle East and Operation Restore Hope in Somalia. Upon his honorable discharge as a Captain in 1993, he embarked on an entrepreneurial path that has given him an eclectic skill set. As founder and Portfolio Manager of Go West Ventures, he gained invaluable experience in the financial world discovering investment opportunities in real estate and the stock and commodities markets. As a world class adventure racer, Will raced all over the U.S., Canada, New Zealand, Morocco and China. His highlight as a racer was to captain an all-American team to an 8th place finish in the 2001 World Championships held in the Swiss Alps. Will parlayed his racing success to co-create the sport of urban adventure racing. He was Race Co-Director of the “Wild Onion Urban Adventure Race” which was held in Chicago, New York, Indianapolis and Houston. The 2001 race was televised in a 2-hour special on ESPN. Most recently, Will has channeled his passion for fitness and health as a Crossfit Level 2 Coach. He is the head coach for the kids and endurance programs at Crossfit Chaparral—the first ever non-profit Crossfit box. He has travelled as far as Sweden and Italy to coach endurance athletes, but finds real satisfaction in guiding the development of his youth athletes. Will’s military background and most recently his Veteran’s Day summit of Mt. 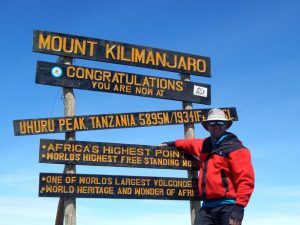 Kilimanjaro with an amazing group of Veterans has fueled his desire to make a difference in the lives of those who have served–taking Veterans to new heights and challenging their ideas of what they are capable so that they succeed despite any adversity. Major Felix Zayas is a graduate of the United States Military Academy (USMA) in West Point, New York. Before attending USMA, he began his career as an Enlisted Infantryman assigned to the 75th Ranger Regiment, the Army’s premier raid force. As an officer, he learned to fly helicopters, solve unique and multifaceted problems, and refine his craft as a Military Intelligence officer. After graduating Military Intelligence Officer Basic Course, he was instrumental in standing up the US Army Translator Aide Detachment, which was the first unit of its kind in the Department of Defense at Fort Huachuca, AZ. His next assignment was serving as Baghdad Fusion Cell Liaison Officer with United States Special Operations Command in Iraq. Upon successful completion of his mission, he returned to Fort Huachuca to instruct junior Military Intelligence Officers in their craft as Military Intelligence professionals. From OCT 2008 through OCT 2009, he volunteered for a second tour in Iraq on an eleven man Border Transition Team stationed on the southern border of Iraq/Iran. Major Zayas left active duty in 2010 and joined the US Army Reserves’ 301st Military Intelligence Battalion where he served in positions of increasing responsibility within the Analysis and Control Element (ACE). He is currently serves as the Detachment Commander for AZ 3-1 within Selective Service System as an US Army Reserve Officer. Felix is also the Director of Tactical Operations at EXOS. In his current position, Felix is honored to serve and upgrade the lives of tactical athletes and their families. He has a lovely wife, who is in the third year her doctoral program in physical therapy, and a budding little daughter. Sue is the number one provider, SBA Patriot Express Program and SBA Export Express and director of marketing for Superior Financial Group. 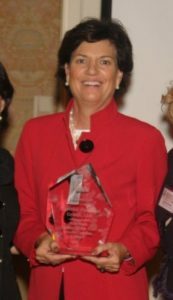 Sue’s involvement began with the program’s inception in 2002. Since then, Sue has helped fund over 41,000 SBA loans, which include Patriot Express loans, Export Express, Community Express and now Small Lender Advantage v.2 and became the largest SBA lender by volume. Her goal is to fund 100,000 small businesses. She travels the nation meeting, promoting and funding small business owners. She is fueled by her passion to help small business owners pursue their dreams. Sue has received numerous awards for her contribution to the success of small businesses around the nation. For over ten years, Sue served as the CFO and Vice President of a commercial and industrial real estate firm in Northern California. In addition, Sue was the first woman-parking operator in the United States with seven parking facilities in San Francisco. Sue is a serial entrepreneur and has started over seven businesses. She holds an MBA from St. Mary’s College. 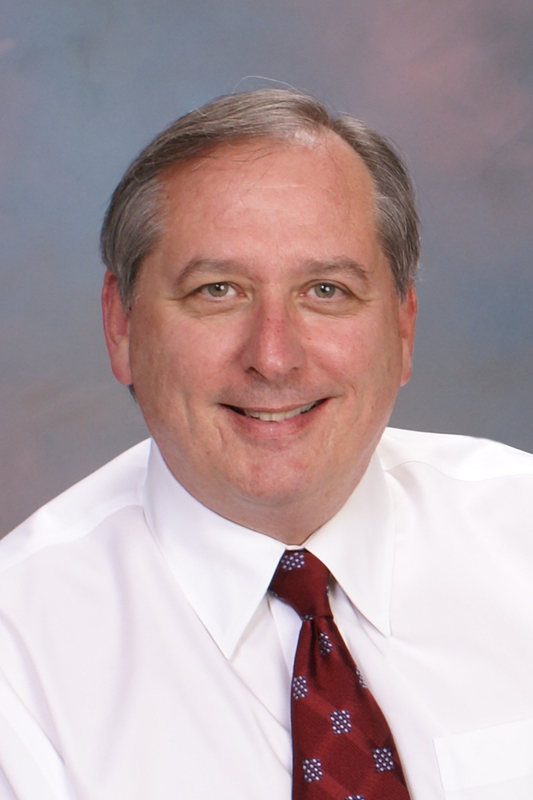 Lawrence Goss is Executive Vice President of CORE Construction Services. He joined the firm at its inception in 2013. Entering the real estate industry in 1986, Mr. Goss has been involved in a broad range of activities including acquisitions, strategic planning, new project development, marketing and project management. Mr. Goss is also a partner in Burton-Katzman, LLC, a Michigan based real estate development company with roots that go back over 100 years in the real estate industry. Over the course of Larry’s career with Burton-Katzman, he has managed the development of large scale master planned residential communities as large as 700 acres and completed award winning mixed use development and construction projects including retail, hotel, medical office, industrial and residential components totaling several hundred million dollars in value. Serving for 6 years as Chief Operating Officer for Trillacorpe/BK, LLC, their Federal Government general contracting operation, Mr. Goss helped lead the firm to be ranked #3 nationally in the Government Services category of the Inc. 500 list of Fastest Growing Private Companies in America, receiving contract awards across the country from the Department of Defense, Department of Energy, U.S. Army Corps of Engineers, and the Veterans Administration. Trillacorpe/BK, LLC was awarded the coveted Nunn-Perry Award in the construction industry by the Department of Defense. Mr. Goss attended California State University, Los Angeles and has completed coursework at Harvard University’s Graduate School of Design in Real Estate Finance, holds a Michigan Brokers license and is a Board Member and Education Committee Chair of the Michigan Chapter, Certified Commercial Investment Members (CCIM) association. He was a founding Board Member of the Pontiac Area Transitional Housing project for homeless women and their children, serving as President of the Board for 2 years, and a founding Board Member of Vetpower.org, a 501(c)(3) charity focused on supporting our returning Veterans. Jeff Garton has been an advising partner to Vetpower.org on veteran education matters since 2012. 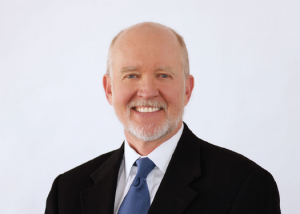 He is a bestselling career author for the Association for Talent Development (ATD), co-author with Warren Bennis, and the former head of global staffing for Kraft Foods and the Miller Brewing Company. His firm partners with military nonprofit organizations, academic institutions, and employers to design and deliver career and mental fitness resources for military families. His firm helped design the V.E.T. blended learning system and currently manages help desk services and the SimplyDigi LMS for the Vet Power Academy.